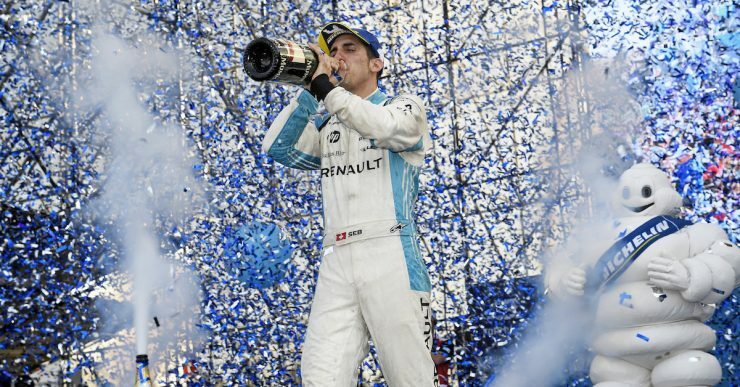 In the hothouse ambience reigning on the Rodriguez Brothers Autodromo, Sébastien Buemi played his part in the on-track action in the Mexico ePrix helping the Renault e.dams team to their third podium finish on the bounce! 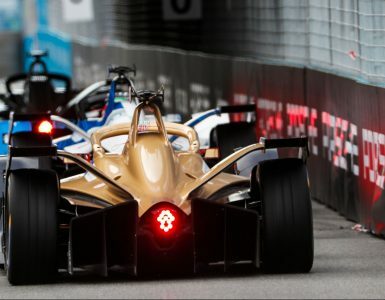 The Renault Z.E.17 in the hands of Sébastien Buemi showed searing pace as he set the fastest time of the qualifying groups on this circuit that uses part of the Formula 1 layout. But in the SuperPole shootout, the Swiss driver was unable to reproduce this performance and qualified on the second row. When the lights went out Buemi held on to third place behind Rosenqvist and Turvey. Lap 15 saw the first major upset when the leader suddenly slowed. 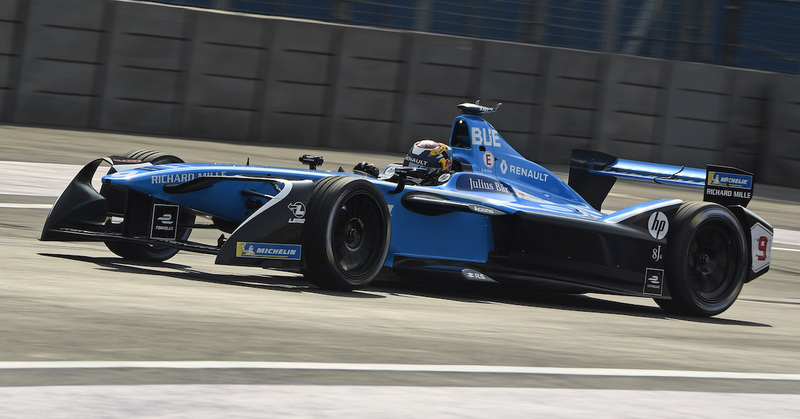 But Buemi’s tenure of second place was short lived as he was passed by Abt 23rd time around. After the car changes, Abt rejoined in the lead in front of Turvey, Vergne and Buemi. Seb used the extra power allowed by the FanBoost to slice past Vergne in superb style. He drew away from the championship leader and pulled in Turvey as the race entered its closing stages. 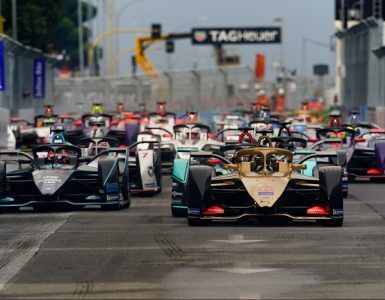 As always in Formula E, the final laps were the theatre of a frantic battle especially as Nelson Piquet Jr had joined in the scrap for second place. Last time around, Buemi attempted to pull off a daring overtaking move, unfortunately without success. Despite this, the Renault e.dams driver went on to seal his hat-trick of podium finishes this season. His team-mate, Nicolas Prost, qualified in 15th place and made a good start avoiding the pitfalls inherent in starting in mid-field. He pulled back a place on the first lap and then set a steady pace in the group chasing the leaders. The Frenchman emerged in 13th place after changing his car and looked on course for a points finish. But his race came to an abrupt halt with nine laps to go to the chequered flag when he was tagged by Sam Bird; he had to pit and retire due to damaged front suspension. 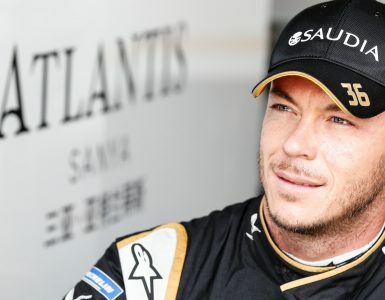 Although it was a frustrating result for Renault e.dams as the team had only one car in the top 10, it has held on to its fifth place in the teams’ championship while Buemi leaves Mexico still lying fourth in the drivers’ ratings. Image: © Eric Vargiolu / DPPI.